MS30 is a M.2 (NGFF, Next Generation Form Factor) high speed solid state drive of the latest generation. 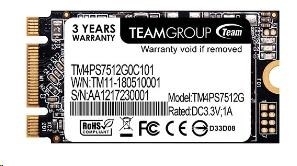 It has the latest SATA III 6Gb/s transfer interface and offers excellent transfer efficiency and compatibility. For different environment usage, MS30 comes in two sizes, 22X80mm and 22X42mm, and the capacity of 22X80mm comes to 1TB, which is capable of satisfying all kinds of specification requirements for motherboards, laptops, mobile devices and developing embedded devices.